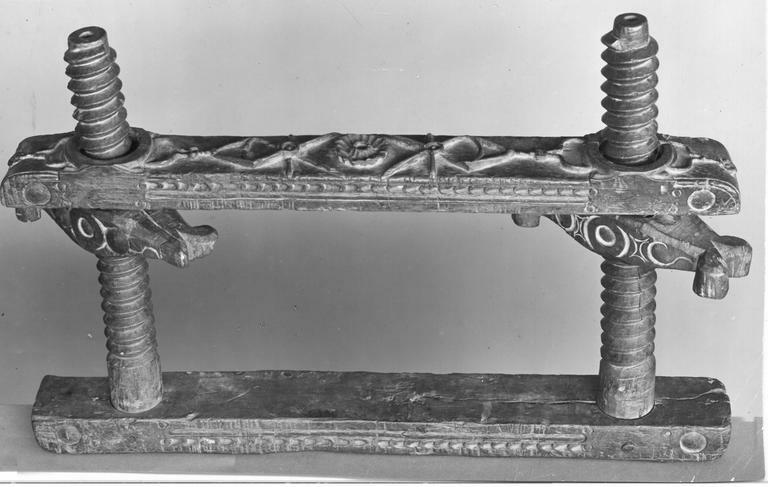 Walnut carved in relief. 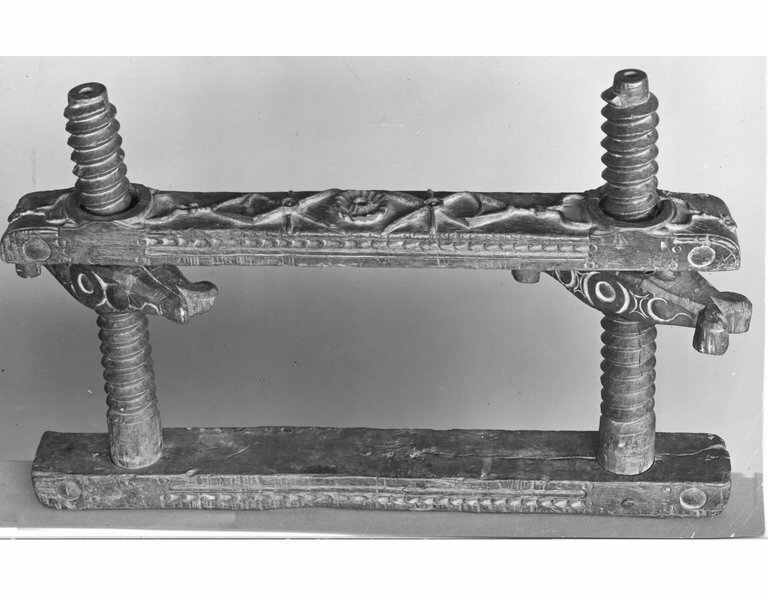 A horizontal beam of rectangular form, carved on the underside with rosettes in compartments, is fitted at three inches from the ends with a pair of screw uprights, on which moves up and down an adjustable horizontal, tie-beam, resting on and regulated by a pair of large, scroll-ended fly nuts, and carved on the upper side with a pattern of rosettes and diamong-shaped compartments in low relief. 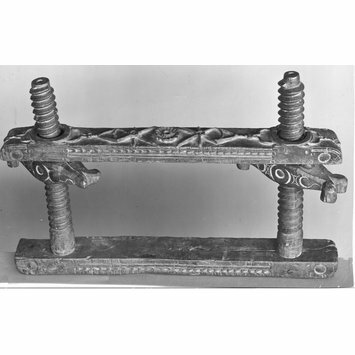 The nuts are carved on the lower side with husk motifs.